3/4: Wersinger & Cerruti Medal in AC! Peter Wersinger & Kevin Cerruti became the Green Wave's first State Medal Winners since 2010 as Wersinger placed 8th at 195, and Cerruti finished 7th at heavyweight. For Wersinger, it caps a career that saw him finish with 106 wins, and a pair of Region medals, and three District medals, as well as a championship in both, to go along with his State Medal. Cerruti won four bouts to finish in 7th place in his 2nd trip to the State Tournament. He is the first non-senior to reach the podium for Long Branch since 2009. Peter Wersinger & Kevin Cerruti became the Green Wave's first Region Champs since Luis Filipe in 2011, and Ryan Zimmerman finished 2nd, as the Green Wave advances three wrestlers to the State Tournament in Atlantic City. It will be the 2nd trip to Boardwalk Hall for all three, who all qualified last season as well. Eleven starters, including 8 Region qualifiers and 3 State qualifiers, return from last season's 20-win, District 23 championship team, setting the Green Wave up, once again, for the potential for a big season. With the eight returning Region participants spread all throughout the lineup, the strength of the lineup is its balance. LB has a great stretch down low with returning State qualifier Ryan Zimmerman, who will be one of the top 106-pounders in the Shore, 3-time District medalist Chris Dean, and District medalist Rey Guzmon. That trio will be complimented by a healthy amount of newcomers with solid potential, giving the Wave great depth and flexibility. Isaac Shohet, a D23 runner-up in 2017, enters his 3rd season as a starter and is joined by Nick Luhn, Louie Saiez, and Christian Gonzalez to provide a strong senior presence in the middle of the lineup. Among the group joining them are Ryan Carey and Stivini Silva, who have gotten plenty of valuable experience as underclassmen, and another of LB's frosh with lots of potential in Jack Friedman. From 160-up, the Wave are going to be tough. 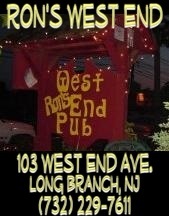 Long Branch has always been able to produce strong upperweights from seemingly out of nowhere. If that trend continues this year, in addition to all the talent they have coming back up top, this is going to an extremely tough and deep group. Two State qualifiers are back in senior Pete Wersinger at 195, and junior Kevin Cerruti at heavyweight. They're joined by Luke Arnold and Dan Santos-Silva, who both finished 2nd in District 23 in 2017. We'll keep an eye on those sophomores expected to see time in the lineup as well, as we look to see if LB pulls more magic with the big bodies. This is a very balanced, very deep, and very talented team. The amount of the experience they have is very beneficial as there is a big test early in the season as the Wave travel to Middletown North on Friday, December 22nd for a big B-North showdown against the defending division champs. In addition to the other B-North dates, circle January 10th on the calendar as Long Branch hosts Raritan in what is always a great atmosphere. This has the makings of a very strong dual team that will be in the hunt for both B-North and the Sectional Titles. 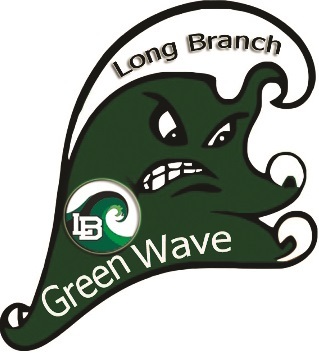 Individually, there should be plenty of LB green qualifying for the Shore Conference Tournament, and they're a safe bet to have another strong individual campaign come the post-season. All said, it should be another big year for head coach Danny George and his Green Wave.